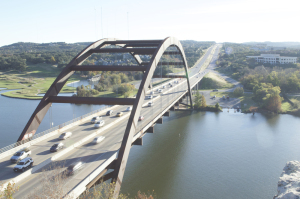 Are you seeking an Austin Texas Drivers License Attorney Near Me? You have stumbled upon the right resources. At Kelly McHanan law, we want to see you driving legally on the road. However, in the case of ticket accumulation, a DUI, or child support owed, you may have a suspended license. During your suspension period, you will not be able to make your regular commute to work or school. In a city like Austin, which is bustling with activity and people, being able to drive is a necessity. Regardless of the state of your driving record, Kelly McHanan wants to fight for your rights. Losing the right to drive your motor vehicle is very upsetting, and likely confusing for you. You may not know which steps to take next, and that’s ok. Your options are limited but you at least have options available. An occupational driver’s license can be attained with the right attorney at your side to help you get a court order. Though there may be some minor reinstatement fees, it will help you get back on your feet. In this article, we will speak about how you may have lost your license in Texas, how you can get it back in Travis County, and how Kelly McHanan Law can help. License suspensions can happen for a number of reasons. In the case you did nothing wrong, your license may have been suspended because of your deteriorating health. For example, if you do not have the visual or physical capabilities to drive, your license can be suspended. However, it is more likely that you have done something illegal or dangerous while behind the wheel, which leads to legal attention. What actions would lead to license suspension? As you can see, there are many reasons your license can be suspended. It may even be used as a court-ordered punishment for an unrelated charge. In any case, you will need legal assistance. How Long Will License Suspension Last? The length of your suspension depends on the court. Within 20 days of having your license suspended, the court will automatically grant you a court date to contest the suspension. We recommend you have an attorney with you during this time so that you may get an immediate case dismissal. However, if you didn’t have an attorney or if they were unable to secure a dismissal, you will have to file an appeal. If your license was suspended due to moving violations, your suspension will last between 30 and 90 days. If you are over 21 and convicted of a DUI, your license will be suspended for 2 years, and 1 year if you are under 21. Whatever the case, it depends on the court to decide. We want you driving legally. You will want to get your license reinstated if you can. The only way to do this is to contest your suspension in a court of law at the beginning of the process. If you cannot effectively prove your case, you will have to wait out the suspension period and then pay reinstatement fees at the end of it. This is why you immediately need an attorney, or else you could be waiting for years to drive again. Keep in mind that you should receive notice from the court before any of this happens. Check your mail, email, and voicemails to ensure you are prepared. In the case you can’t help but have your license suspended, you can always try to attain an occupational driver’s license. An occupational driver’s license is a restricted document that lets you drive for work, school, and essential errands. While you will not have the luxury of leisurely driving and travel, you will be able to make your everyday commute. This is much better than nothing. In order to get ahold of one of these, you will have to make a court appearance. If you succeed, the court will issue an order for the DPS to grant you an occupational driver’s license. There are, however, some situations in which you may not qualify for one. Let’s talk about all of the possibilities and what your options are. You lost your drivers license for a medical condition/physical inability. It was suspended because you owe child support. Two occupational driver’s licenses have been issued to you after a conviction in the past 10 years. You are not a legal citizen in the United States. If any of these situations apply to you, you will not be able to receive an ODL. Miss McHanan wants to ensure that you stay on the road legally. She has been licensed to practice law in the state of Texas for almost a decade now and knows the ins and outs of Austin. In the case that your license has been suspended, you need to call an attorney immediately. Let Miss McHanan be that attorney. 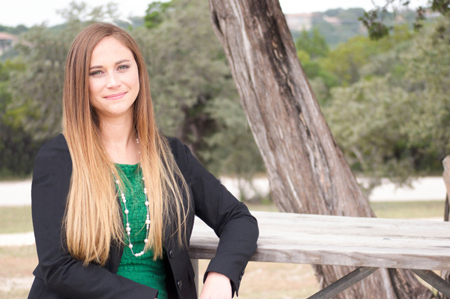 Call her office at (512) 843-2889 to schedule a consultation with her. Her law office is open every weekday from 8 am to 5 pm. Now that you have found Austin Texas Drivers License Attorney Near Me, you can get moving! Austin has the largest urban bat colony in all of North America. We are home to The Cathedral of Junk, a museum dedicated to junk. Austin was originally named Waterloo.